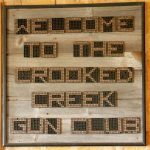 Crooked Creek Gun Club was established in 1992 and hosts competitions in trap, sporting clay, pistol and now rimfire. We will be hosting monthly club matches that follow the NRL22, or similar, course of fire from January through May. Starting in June, we will be hosting monthly NRL22 points matches. Extra stages will be added to most matches. Shooters of all skill level are welcome. For people unfamiliar with precision rifle style matches, we will offer a basic train-up and walk you through how to safely shoot a match. In an effort to encourage youth involvement, any youth who is accompanied by a paying adult will shoot for FREE. Adults are $10. No preregistration is necessary. Bring 100 rounds of ammo. For Saturday shoots registration will be open from 8:00a.m. to 8:30a.m. with a safety brief following. For Sunday shoots, registration will be open from 11:00a.m. to 11:30a.m. with a safety brief following. From the Aurora, NE Exit on I-80: 5-1/2 miles south to West 4 Road, 2 miles west to South O Road, and 1/2 mile south. From the junction of Highways 6 & 14: north 9 miles to East 2 Road, west 2 miles to South O Road, and north 1-1/2 miles. 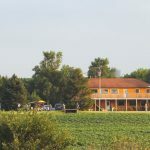 The clubhouse and range are on the west side of the road. Rimfire Matches per Year: 12 – January through May will be club matches with NRL22 points matches being held from June forward.